My friend Jason of Picharpak Workshop in Hong Kong makes the best darn luggage tags in the world. Check 'em out. He calls them L-Tags, and these babies are easily the best luggage tags I've ever owned. They're made from X-ply monofilm and nylon webbing, so they're super strong and weather-resistant. They include a corner snap to secure your ID inside and a knotted length of sturdy paracord to secure the tag to your bag. 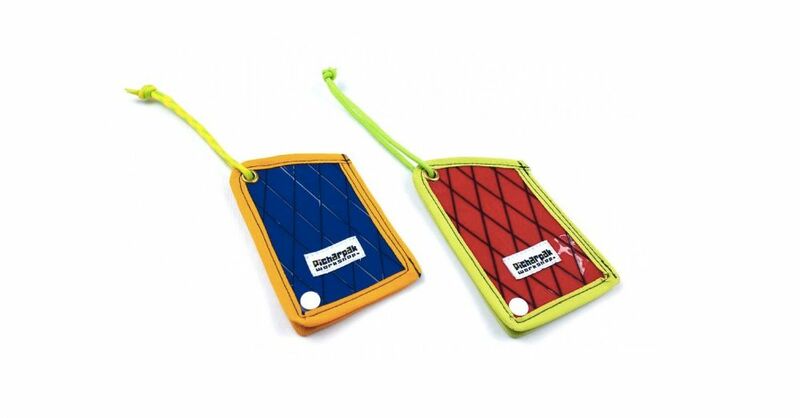 Plus they come in bright colors to make your luggage even easier to spot. And they're affordable. At only $5.50 (U.S.) a piece, you can't go wrong. Order a few L-Tags for yourself. You won't be disappointed.